Kunstlab is KODE’s art museum for children of all ages where visitors are free to explore the world of art through play and experimentation. In The Children’s Art Museum, which is the first of its kind in Norway, children and youth meet the museum’s art on their own terms. The museum has a major exhibition curated for kids, several workshops and a laboratory where one can explore art science through play and experimentation. 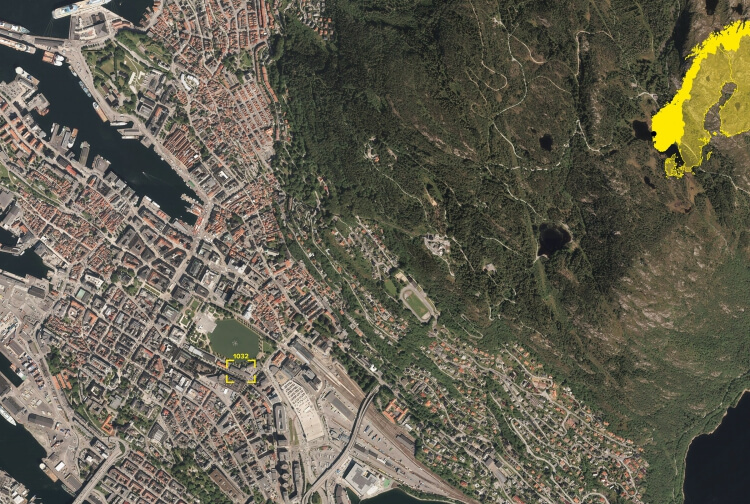 With The Childrens Art Museum, KODE (Museum of Art in Bergen) wants that the younger part of the audience will get the best conditions to become experts in our artistic and cultural heritage, and become good interpreters of visual expressions. Art Lab has a number of organized facilities for families, schools and kindergartens, and has great schools and family workshops. The project has a broad definition of art, and workshops are established for painting, sculpture and digital production, while a number of technical measures such as perspective and colour theory are visualised. Children learning through movement is particularly emphasised and Art Lab is thus a space where physical activity is an integral part of discovering the art. The architectural concept for the design of the Art Lab is based on the myth of the Minotaur and the labyrinth. By establishing a yellow line which is covered in rubber with a steel core, the Art Labs connects various departments and creates a continuous reference that leads the visitor through The Children Art Museum. The yellow thread conveys Art Lab’s basic quality of being a unifying arena for dissemination and production of art, constantly evolving.